A whole bunch o' Simca's for GTL...still a W.I.P. though! Right-click and choose 'View Image' for a larger pic. Another great future member of the TC-65 class. A really great little car! Maybe you will have some in GTC-76 because of the engine and the power. 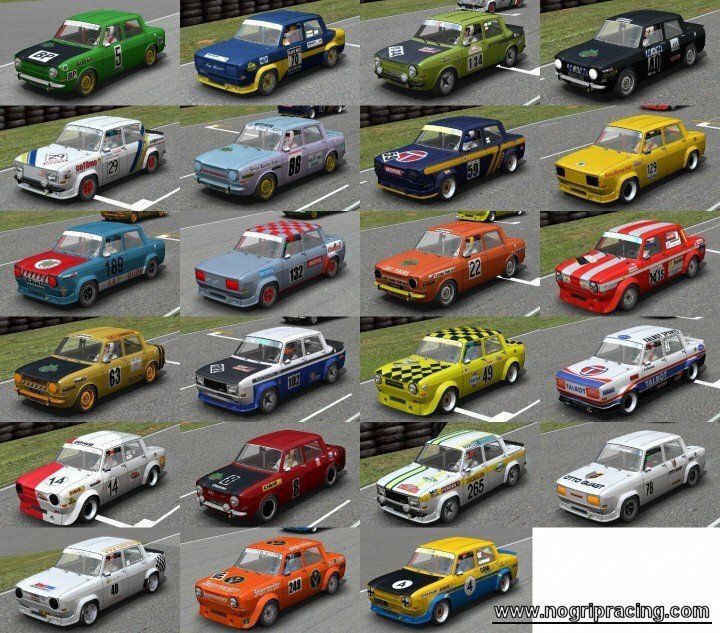 I have driven some of them from beta version, and the car is a pure rocket, racing easiely against BMW 2002, VW Golf 1600 Group 1, and even Alfa GTAm 2000, etc. For sure they are pure fun and enjoyment!! Cheers! You make it sound even better Ney!!!!!! If it can race with those cars you mention then it maybe as fast as your rocket suit ! ! ! ! ! These cars were not on a par with a 2002 or a GTAm ,they were 1300cc don't forget that.Even the GTAj were faster but in fact they were raced after all these iconic cars. I gather my insignificance related to Modders from Brickyard Legends, after all, Ned is one of our popes in technical knowledge. I'm just a "latin american guy with no money in his pocket and without technical knowledge". The truth is with Ned. I just got more excited after driving these cars and I enjoy them. Shame on me! I'm sorry guys! Not to worry Ney m8... at least I know my heart is stilling working as it pounded with excitement, now I think I need it jump starting after Neds news... boo hooo! On the bright side they do look very nice though....... the cars not my heart! "... some extra power (a bit over 160bhp@7500rpm and huge amount of torque in relatively short range) and reduced weight. The gr2 cars are about 720kg and gr5 one is 680kg. .... and yes, of course the gr5 is a lot thirstier than the two others less powerfull Simcas..."
Can you imagine how they will perform in tracks? ?